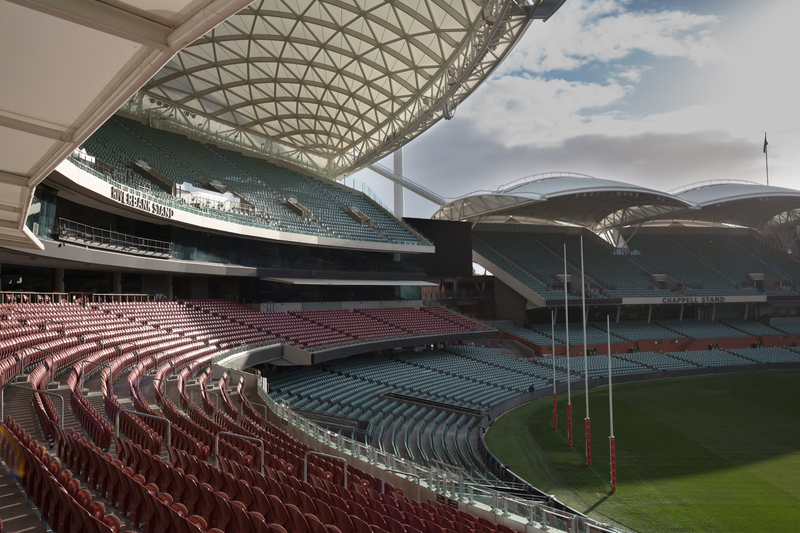 Adelaide Oval has been described as one of the most picturesque Test cricket grounds in Australia, if not the world. Its importance on the international cricket circuit is undisputed, being headquarters to the South Australian Cricket Association (SACA). Its sporting credentials extend to other areas, with South Australian National Football League (SANFL) also calling it home and the venue playing host to Australian rules football, rugby league and union, soccer and tennis, as well as regularly holding concerts. It has three stands, the Western, Eastern and Southern or Riverbank Stand, all constructed as part of a major refurbishment completed in 2014. The Riverbank Stand boasts a new L-Acoustics Kara system, supplied by Jands, L-Acoustics Certified Provider Distributor for the region. The system delivers improved coverage and intelligibility, all without the need for expensive acoustic treatment. The 14,000-capacity Riverbank Stand’s 12 stories are covered by a single curved roof which has complex rigging requirements. US-based acoustic design and consulting firm Wrightson, Johnson, Haddon & Williams (WJHW) were brought in to recommend a system for its upper tier audience areas and determined that Kara would be the ideal solution. With a throw distance requirement in excess of 50m in some audience areas, Kara provides coverage and SPL for the entire upper tier audience in a high performance yet lightweight package. Supporting WJHW designer Greg Swindle, the L-Acoustics Applications team provided electromechanical and system support, with L-Acoustics’ proprietary Soundvision software used to determine the positions and configuration of the arrays. Local specialist Novatech Creative Event Technology was initially asked to supply a demo system, which the venue reviewed over a two-month period. It proved so successful that they were subsequently engaged to install the permanent system, which comprises three hangs of eight Kara in an LCR configuration, one hung centrally at the front of the stand’s roof, and the other two hangs positioned equidistantly to either side. All are finished in white to blend with the architecture of the stand. The system is powered by six LA4X amplified controllers, mounted in a custom designed rack located in a temperature-controlled room and running on a UPS. The system also integrates into the emergency evacuation system and existing QSC Q-SYS control system, thereby doubling as an essential component of the venue’s voice alarm system, enabling delivery of clear, intelligible instructions to guests in the event of an emergency situation. Sacca notes that the infrastructure posed additional challenges, including the production of custom speaker brackets, which had to be engineered to suit the mounting, positioning and angling requirements of the arrays. He adds that the location of the installation, with fixing points situated over 35m from ground level, was probably the most difficult element of the job.